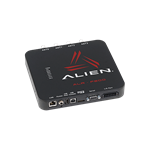 Alien® ALR-F800 is a best in class, self-optimizing Enterprise class reader that enables users to deploy best-in-class EPC Gen 2 RFID solutions for retail, supply chain, manufacturing, mobile asset tracking and asset management applications. Featuring a new fifth-generation reader architecture that intelligently adapts and configures based on its environment, the ALR-F800 provides the industry’s best Power over Ethernet (PoE) transmit power and performance.The ALR-F800 reader’s discrete architecture offers substantial improvements in function and performance over existing products in the market, enabling new levels of flexibility for system enhancements and future proofing. The improvements include industry standard MicroSD and USB slots for adding memory and additional capabilities such as cellular, Wi-Fi and Bluetooth. The F800 can accommodate large chunks of code, or entire applications loaded directly on the reader. 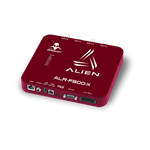 Alien® ALR-F800-X is a best in class, self-optimizing Enterprise class reader that enables users to deploy best-in-class EPC Gen 2 RFID solutions for retail, supply chain, manufacturing, mobile asset tracking and asset management applications. Featuring a new fifth-generation reader architecture that intelligently adapts and configures based on its environment, the ALR-F800-X provides the industry’s best Power over Ethernet (PoE) transmit power and performance.The ALR-F800-X reader’s discrete architecture offers substantial improvements in function and performance over existing products in the market, enabling new levels of flexibility for system enhancements and future proofing. The improvements include industry standard MicroSD and USB slots for adding memory and additional capabilities such as cellular, Wi-Fi and Bluetooth. 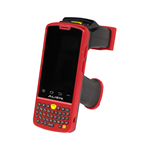 The ALR-F800-X can accommodate large chunks of code, or entire applications loaded directly on the reader. 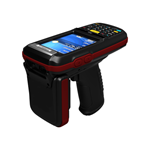 The AB700 is the new generation Windows Mobile / Windows Embedded UHF handheld reader. With a powerful processor, new design UHF reader antenna, improved base memory and multiple connectivity and data capture options, the rugged terminal is an excellent device, suitable for supply chain, asset, livestock and industrial tracking applications. Copyright © 2019 RFID Solutions, Inc.